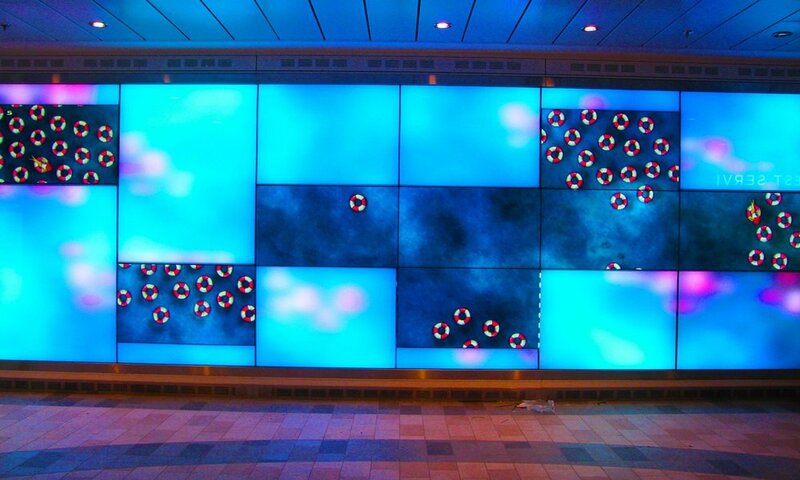 SAMO worked with Materials & Methods and FLOAT4 to create a permanent interactive art wall on one of Royal Caribbean's cruise ships. A wide sweeping gesture can brush across the image, altering color or pattern, creating ripples, causing flowers to bloom or particles to disperse, revealing colors or adding layers, where as a short sharp motion alters the canvas differently, giving the user the ability to paint with a quickly learned movement “language.” Watching the vibrant canvas respond to bodies in space is arresting, and invites an audience of every type of passenger to want to engage and play. 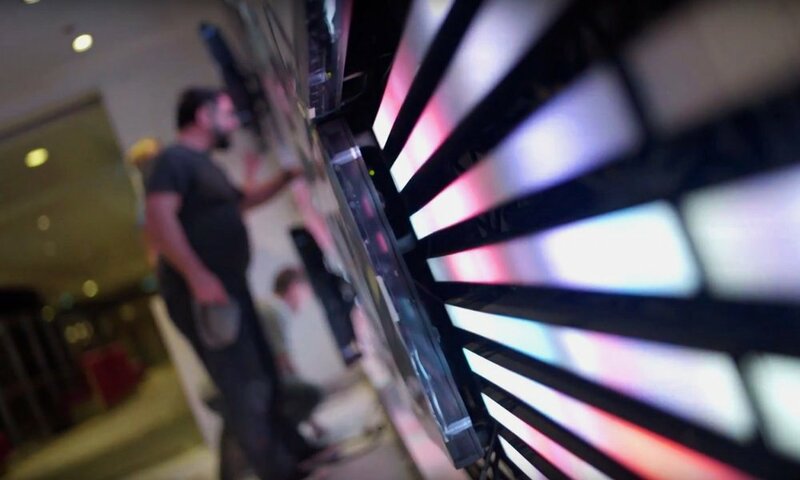 SAMO created custom animations and particles assets that were used in FLOAT4's custom software to create the interactive art environments. Additionally he worked closely with Materials & Methods to test and direct the different scenes to guide the success and resonance of the creative experience. 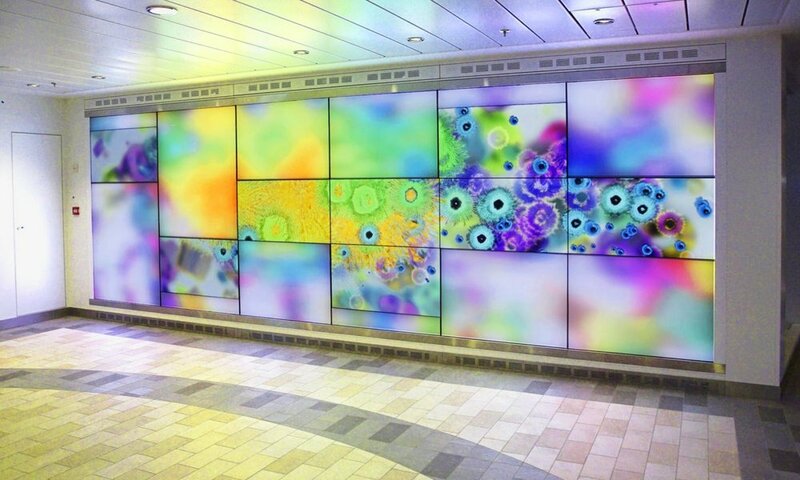 The wall was an asymmetrical composition of high resolution Christie displays and low resolution LEDs covered by frosted glass pannels to create a dynamic interactive display canvas.